Famous Funerals, Graves and Etiquette. 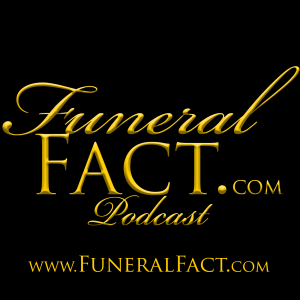 In this episode of the Funeral Fact Podcast, host Jeff Kasper interviews Theodore Hovey, a Family Service Counselor with the Hollywood Forever Cemetery/Beth Olam Cemetery/Hollywood Funeral Home in Hollywood, California, USA. Topics include: Can I visit my favorite celebrity's grave? What's the etiquette? Are some cemeteries more visitor friendly than others? Will the cemetery help my locate the grave of my favorite celebrity? And much more! Please subscribe and rate this podcast in either the Google Play Music or iTunes store. Don't forget to visit our website at http://www.FuneralFact.com where you will be able to submit questions, suggest possible topics for future episodes and much more.